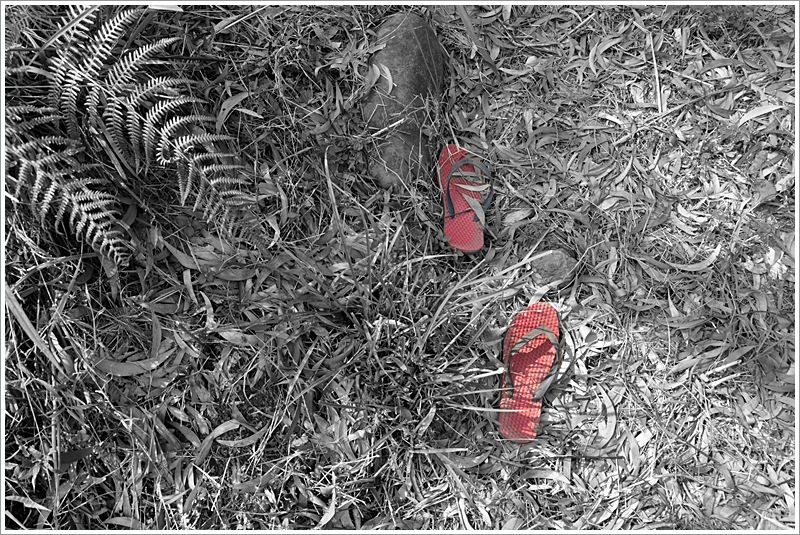 While on a trek, saw them lying down abandoned, the color of the slippers got my eye. Used magic tool in photoshop to highlight them and changed the backdrop to black and white. Your inputs and comments on the same please. Only registered TrekLens members may rate photo notes. Only registered TrekLens members may write critiques.